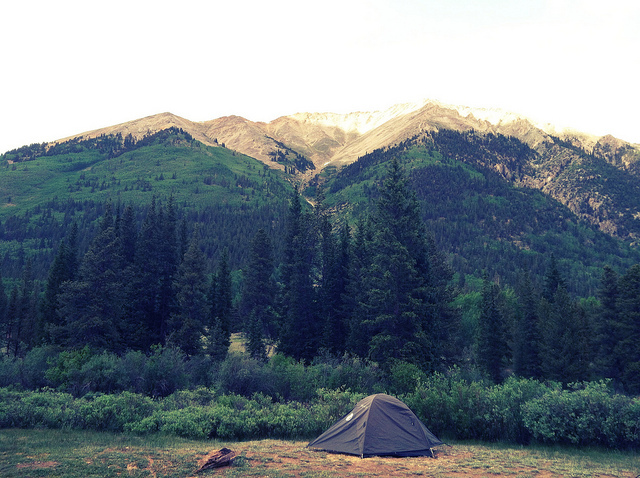 The place for ramblings, news, and information about Trailcology-related happenings! 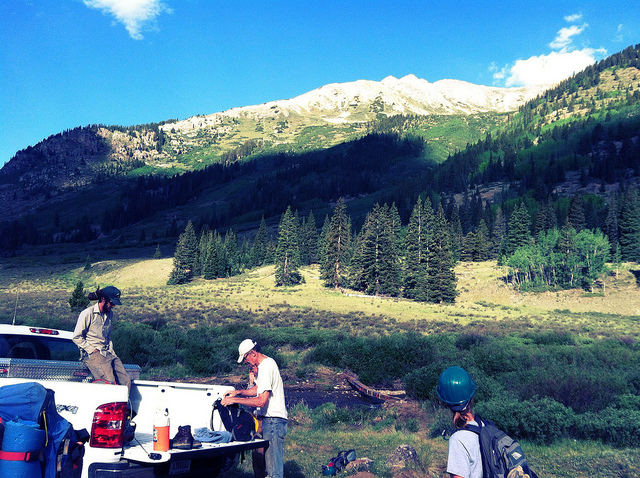 Trailcology made a stop on the Continental Divide Trail this past weekend for 2 days of trail restoration and rerouting near the historic mining town of Winfield between Leadville and Buena Vista. 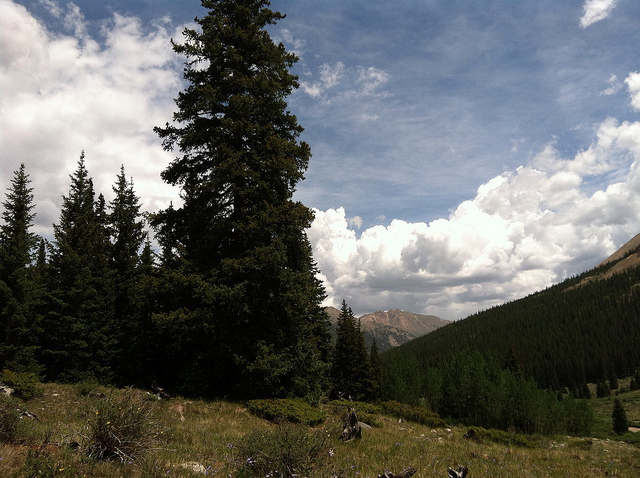 Together the Continental Divide Trail System runs 3,100 miles between Canada and Mexico. It’s estimated that the trail is 70 % complete and only about 24 people per year attempt to complete the entire route. 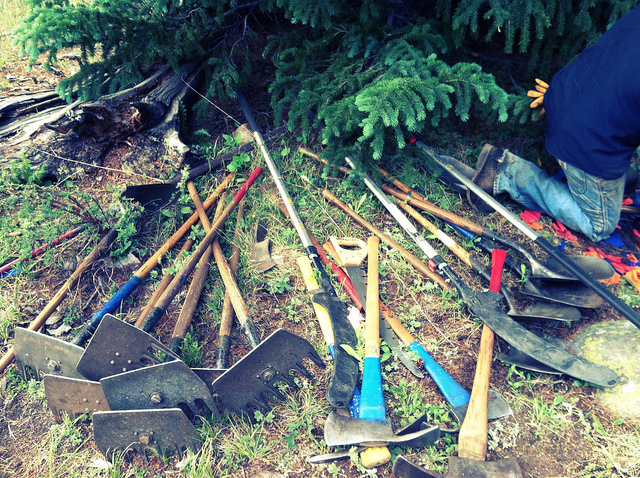 In conjunction with Volunteers for Outdoor Colorado (VOC) and the U.S Forest Service there is an ongoing effort to move this Colorado section of the trail further away from the 4x4 road and clear it of debris for safer access. 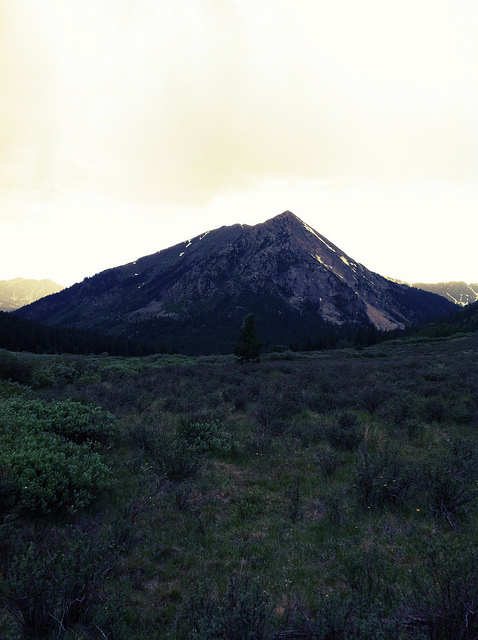 Ultimately, the goal is to connect with the extremely popular Lake Ann Trail located in the middle of the towering Collegiate Peaks Wilderness. 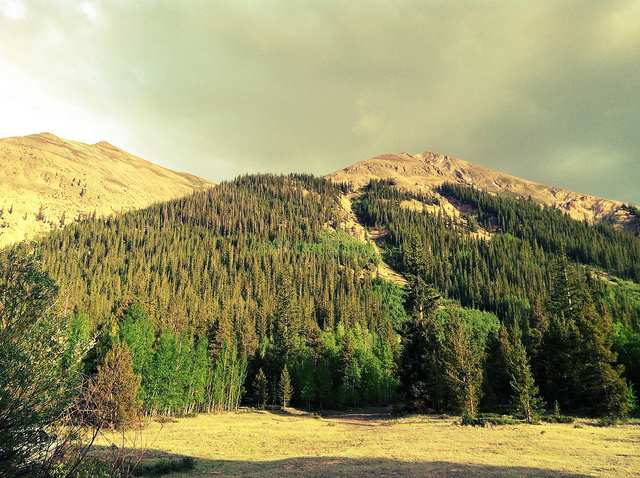 This is one of the more scenic areas I’ve had the opportunity to visit and there are an endless array of climbing opportunities in the area including, Missouri Mountain, Huron Peak and La Plata Peak, three of the smaller 14ers in the state. The area is extremely popular with campers and backpackers so it’s become an urgent necessity to repair and clean up the trail. This is one of 9 weekends that VOC will spend in this area over the summer and more volunteers are definitely needed. 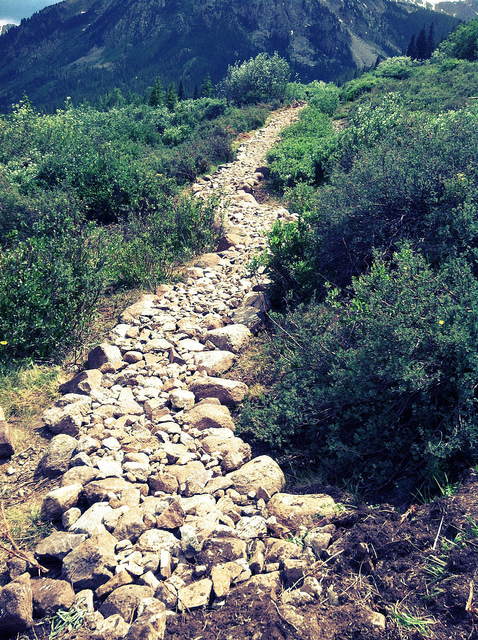 Over the weekend our group attacked and graded more than 500 feet of trail above Winfield and built a lengthy addition to the rock ‘turnpike’ that crosses over the wetlands at the base of Granite Mountain and the Three Apostles. On Saturday, our crew mostly focused on carving the upslope of the trail to a 45 degree angle to allow for good water flow and developing a solid ‘critical edge’ on the downslope of the trail. We also removed boulders and stacked and sorted them according to size for construction of the ‘turnpike’. Because there was an old mining road adjacent to the new section of trail, we used the debris from our excavation to cover up the road and keep people on the trail. After a long day of work we returned to the campsite for cold beer and a delicious dinner of biscuits, chicken stroganoff and red velvet cake. Since the fire ban prevented us from partaking in the main event of any good group camp-out, most people chose to retire to their tents early after a long day of work. Sunday morning, we arrived at the worksite with a slightly smaller crew after a few volunteers departed the night before. 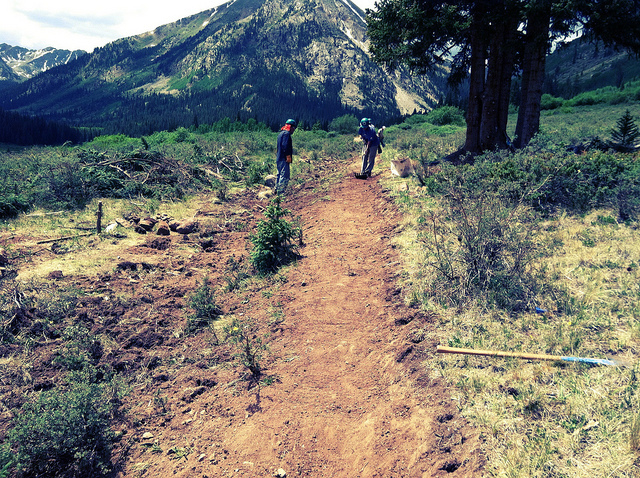 We quickly got to work continuing the ‘turnpike ‘and cleaning up the trail from yesterday’s work. Our focus was on continuing the rockwork and covering a washed out portion of trail above where we worked the day before. This stage of the project was my first experience using a rock sling and bars to haul boulders and I have to say it was extremely rewarding work. Although it took us 10-20 minutes each time to get the rocks up from the lower portion of the trail we made the process more enjoyable with plenty of lively and encouraging conversation. 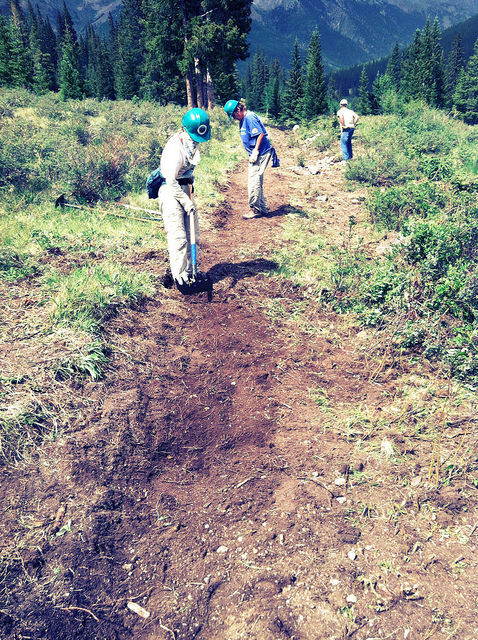 Other volunteers worked to chip larger rocks and prepare the upper sections of trail for future work. When we ended on Sunday afternoon it was amazing to see the progress that was made over the weekend. I can't wait to get up here again and see the finished product that is years in the making. "A first-rate trails system can only be created by people."